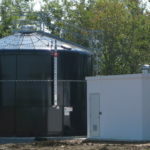 Municipal and industrial water & wastewater storage is not only a major consideration; it can be a significant challenge. Southeastern Tank has the experience and skillset to deliver timely, efficient, and sensible solutions. 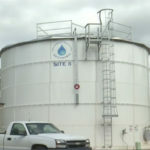 For over 30 years, our family-run business has been a top provider of liquid storage solutions in the southeast region of the United States. With products of the highest quality, and service to match, we are ready and able to meet your most complex applications. 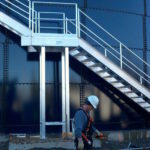 As a specialized general contractor, Southeastern Tank designs, installs, maintains, and inspects systems that handle everything from potable water and fire protection to wastewater and landfill leachate. Our products are constructed from the best materials available. They are backed by extensive research and testing, built by factory-trained personnel, and serviced by our experts throughout their life-cycle. Southeastern Tank was originally founded as Hermitage Harvestore by Charles Dowdy and Frank Osborne in 1978. In 1985, Mr. Dowdy saw an unmet need for liquid storage solutions in municipal and industrial applications. He led the company through the transition – which included a shift in both services, name and premier product, Aquastore. 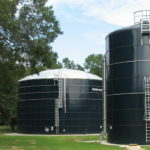 Southeastern Tank, Inc. became a premier provider for water and wastewater storage in the southeast US. But, more importantly, Mr. Dowdy established a reputation for quality, attention to detail, rigorous training, and exceptional customer service. This is the foundation on which Southeastern Tank is firmly built. While what we do has evolved to meet customers’ needs, who we are remains constant. Southeastern Tank is committed to helping municipalities and industries find, implement, and maintain the right solutions for their applications – and we do so with end-to-end service, support, and guidance that encompasses far more than storage. We can assist you with water quality, asset management, tank inspection and maintenance, lagoon and lift station mixing to ensure your liquid storage structures deliver maximum value. We are going where you need us to go.